Dr Coffman and Dr Murphy, co-managers of the European State Finance Database, would like to acknowledge the assistance of a number of people and organisations. 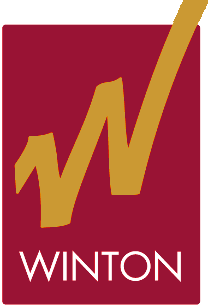 Winton Capital Management generously provided extensive technical expertise to assist with the re-launch of the database, as well as much needed web-hosting facilities. In particular, we would like to draw your attention to the contributions of Winton’s programmers, without whose tireless efforts this project could not have been completely timely, if at all. Matthew Lett handled the initial data scraping and migration of data sets from the old database and oversaw the design and implementation of this project. James Casey served as database designer and web programmer. The enhanced functionality and superior ‘look and feel’ of this site are the products of his efforts. George Harding assisted with the web programming and undertook much-needed data clean-up in the wake of the migration. The Economic History Society provided funding for a part-time research assistant to contact the original contributors, to solicit contributions from new researchers, to update the bibliography, and to re-write the notes attached to each data. Dr Catherine Casson, whose introduction you will have read, served as the EHS Research Assistant on this project. Rebecca Scambler, web designer for the Centre for Financial History at Newnham College, designed the style sheets for the new database. The managers would also like to thank their employers, Newnham College and the University of Hertfordshire, for their enthusiasm for this project, and also Professor Richard Bonney, for so willingly giving us free rein.